The minimum age for clients and patients at Blue Water Spa and Michael Law MD, PA / Aesthetic Plastic Surgery is eighteen. If you are pregnant, or believe you may be, please inform us when you schedule your appointment and when you arrive at the spa. 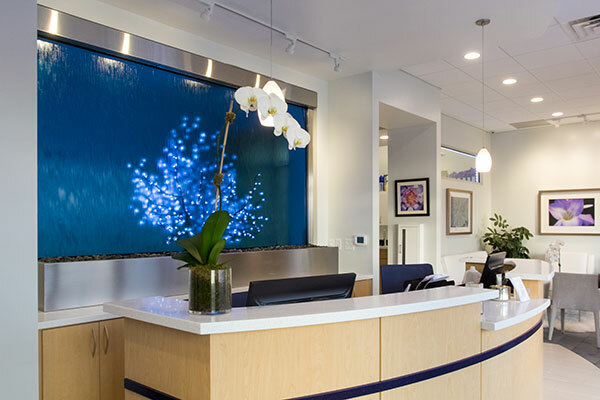 Blue Water Spa and Michael Law MD, PA / Aesthetic Plastic Surgery accept cash, personal checks under $1,000, Visa, MasterCard, and American Express. We also honor Spa Finder Gift Cards. Spa Finder gift cards can only be used on regular priced skin care or massage services. All prices, policies and services are subject to change. In order to provide a relaxing experience for you and others, we ask that you turn off all pagers and cell phones upon arrival at the spa. Due to the popularity of our medical spa services, we highly recommend you make an advance reservation for any of our services. However, we will always do our best to accommodate your requests. A major credit card is required to hold your reservation(s). Please advise us upon booking of any allergies, ailments, disabilities, high blood pressure, pregnancy or if a wheel chair access is required. Should you need to cancel, please contact us 24 hours in advance of your scheduled appointment. All cancellations with less than 24 hours notice will result in full charges to your card, or a deduction to your gift certificate. This courtesy enables us to compensate our employees for their time, and maintains a higher availability of our time for you as well as others. By scheduling an appointment, you are agreeing to our cancellation policy. Late arrivals may result in a shortened appointment. We ask that first time patients and clients arrive at the office 15 minutes prior to their scheduled appointment time to complete necessary paperwork. Existing patients and clients should arrive 5 minutes prior to scheduled treatment time to check in. Due to the nature of our services and in compliance with HIPAA guidelines, we do not allow cameras, cell phones or other recording devices to be used in our office. Patients and guests are prohibited from taking photos or video inside of our office, either before or after their treatments. The entire content of michaellawmd.com and bluewaterspa.com is copyrighted by Blue Water Spa Inc. 2002-2005. No use or reproduction of this web site may be made without the written consent of Blue Water Spa, Inc.